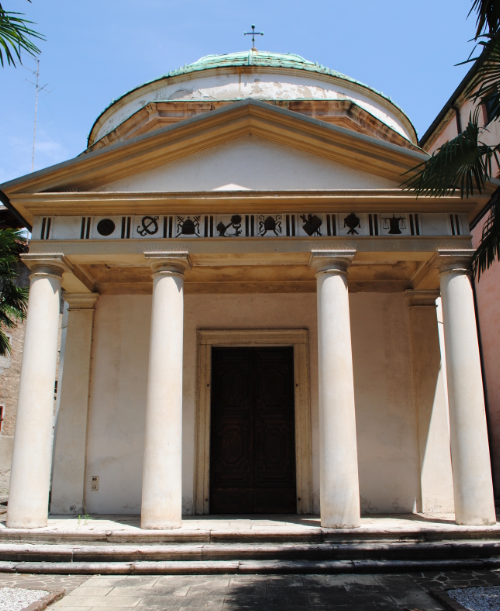 Located near to Porta Fra Giocondo is the Neo-Classical Chiesa del Beato Enrico – Temple of the Blessed Henry. Built in circa 1830, the church features a pedimented portico with engaged pilasters and an octagonal sanctuary with domed roof. The church is named after Henry of Treviso who was born in the late 13th century. Henry was an extremely poor man who attended daily mass at many of the city’s churches. Henry of Treviso was declared “blessed” by Pope Benedict XIV.